Looking for a stylish ceiling with maximum flexibility? Then 15T is your best choice. Its tiles are easily sunk into new or existing T15 mm profiles. If the space above the ceiling needs to be accessed simply push the tiles up and lift them out of the grid. 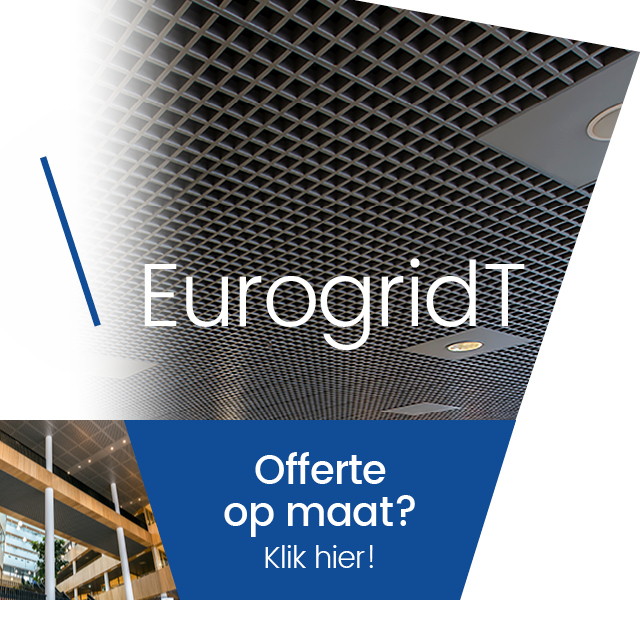 Eurogrid 15T is available in all RAL-colours and its dimensions can be adjusted to meet any designer demands.